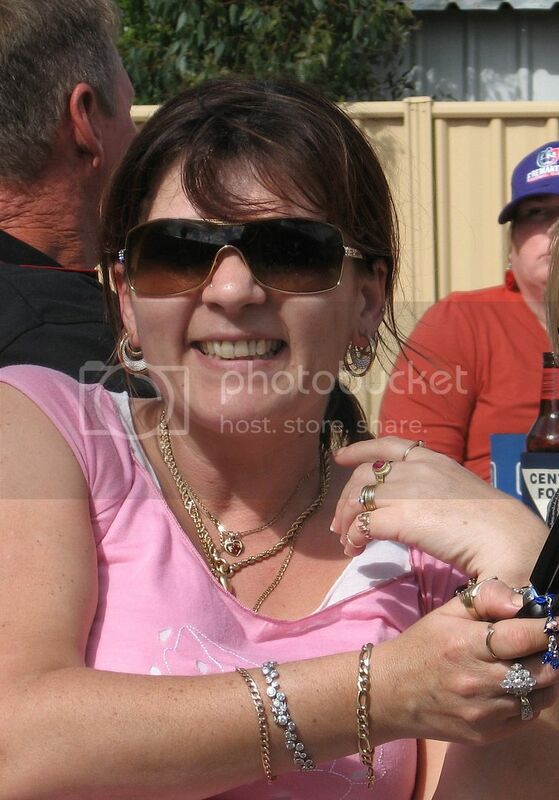 Missing mother of 3 children IVETA MITCHELL - Last seen Monday May 3rd 2010 in Mears Ave Parmelia, West Australia. Family are concerned for her welfare. She left her home at 1am after an arguement. She cut across the local park and has not been seen since. Friends and family have door-knocked and passed out posters around the area. IVETA left her home without taking any belongings including her mobile phone and bank cards. Any one who can help please phone Crimestoppers on 1800 333 000 or Kwinana police station on (08) 9411 4311. POLICE are searching for a 37-year-old woman who was last seen in Parmelia on Monday. Iveta Mitchell was last seen at her Parmelia home on Monday afternoon. She is described as being 165cm tall, slim build, brown shoulder length hair with light streaks, brown eyes and an olive complexion. Iveta has a tattoo of a tiger on the left hand side of her back. She was last seen wearing black pants and a black top with writing on the front. Concerns are held for her safety and welfare as she has not had contact with her family or friends since Monday, which is out of character for her. Anyone with further information on the whereabouts of Iveta is asked to call Crime Stoppers on 1800 333 000 or Missing Persons Unit on 9263 2555. Police and State Emergency Service volunteers are combing an area of bushland in Perth's southern suburbs for a missing 37-year-old woman. Iveta Mitchell has not been seen since she argued with a family member on Monday. Police Sergeant Greg Lambert says police and SES volunteers on horseback and foot are searching bushland in Meares Avenue in Parmelia. An information booth has been set up at the Kwinana Hub Shopping Centre. Wedding and engagement rings belonging to missing Parmelia mother of three Iveta Mitchell have been found on the front doormat of her home. Mrs Mitchell's husband Chad said last night that he contacted police investigating his wife's disappearance after the discovery, which led forensic experts to search the Meares Avenue home yesterday. Mr Mitchell said that the discovery both caused him concern and gave him hope that his wife was alive. He repeated his plea for her or anyone with information to contact police. Police said their search of the home was a routine part of their inquiries into the 37-year-old's disappearance. 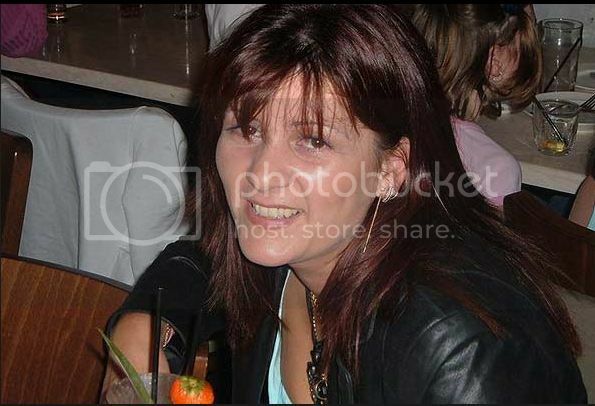 Mrs Mitchell was last seen leaving the family home about 1am on May 3 after an argument with her husband over money. She was reported missing that day. The forensic officers and detectives were at the house throughout yesterday afternoon. Last week, major crime squad detectives said they held concerns for Mrs Mitchell but were not treating the matter as a murder inquiry. Det-Insp. David Bryson said police were particularly concerned that Mrs Mitchell had not contacted her family on Mother's Day as she was close to her children. Police also had unconfirmed sightings of Mrs Mitchell, including from a motorist who said he saw her walking on Old Mandurah Road on May 9. After Mrs Mitchell disappeared, her husband said she went for a walk because she was upset. "We had a fight and woke our seven-year-old and he was crying so that upset her," he said at the time. In pleading for help to find his wife, Mr Mitchell said her disappearance was out of character and anyone who might have known where his wife might stay had been contacted. She did not take her wallet or phone when she left and it was unusual for her to remain out of contact with her family for such a long period. SES volunteers searched bush near Mrs Mitchell's home while family and friends have put up posters from Perth to Pinjarra seeking the public's help. Mrs Mitchell is 165cm tall with a slim build, brown shoulder-length hair with light streaks, brown eyes and an olive complexion. 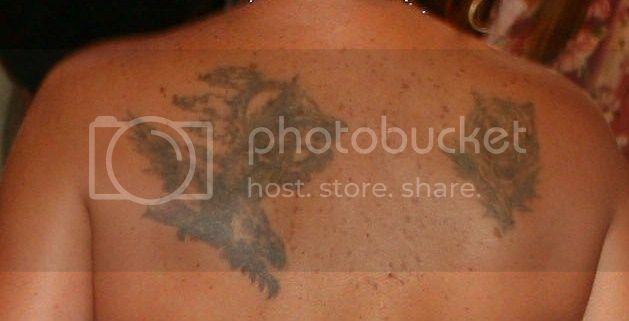 She has a tattoo of a tiger on the left-hand side of her back. Anyone with information regarding Mrs Mitchell is urged to contact Crime Stoppers on 1800 333 000. A close friend of Iveta Mitchell believes the missing Parmelia mother is still alive and hopes she will make contact soon. Kristy Marsh describes Mrs Mitchell, to whom she is related through marriage, as a best friend and who she loves like a sister. She spoke to The West Australian this week as major crime squad detectives finished a search of a Kwinana Beach quarry and tip for the 37-year-old woman's body. Police have previously said they hold grave concerns for her welfare but are not treating her disappearance as a murder. They have said it is particularly unusual for her not to make contact with her children on Mother's Day. "It has just dumbfounded me that she would not be in contact with us and that has thrown a lot of people because it's not like her to do this at all," Mrs Marsh said. "We were always talking. Our kids go to the same school, she would be straight into the driveway straight after we drop the kids off and we would sit here for hours just chatting away about anything." Mrs Mitchell left her Meares Avenue home about 1am on May 3 after a fight with her husband Chad over money. She was reported missing later that day. Police have received a number of unconfirmed sightings of Mrs Mitchell, including from a motorist who claims he saw her walking near Old Mandurah Road about 7pm on May 9. On May 18, Mr Mitchell found his wife's wedding and engagement rings on their front doormat. This led police to search the home. Mrs Marsh said the sightings and rings gave her hope. "It gives us hope that she is still around so she would be looking on and hopefully she will come home sooner, rather than later," she said. Mrs Marsh said Mrs Mitchell's family and friends were holding up well, given the circumstances. "I'm actually quite surprised that they have been able to fully hold it together," she said. "It does put a lot of strain on relationships and everyone involved." Mrs Mitchell is 165cm, with a slim build, brown shoulder-length hair with light streaks, brown eyes and an olive complexion. She has a tattoo of a tiger on the left-hand side of her back. Police investigating the disappearance of Parmelia woman Iveta Mitchell have searched a quarry near where she was last seen, but found nothing. Mrs Mitchell was last seen at her Parmelia home three weeks ago. Police investigating her disappearance spent yesterday afternoon searching a quarry and rubbish tip at Kwinana. They say they have ended their search of the area, and did not find anything of interest. Detectives have grave concerns for Ms Mitchell, who left her home after a fight with her husband earlier this month. Detective Superintendent Paul Coombes says police are following a number of leads. "There have been a number of sightings both in the metropolitan area and in regional WA and again I would encourage anybody with any sightings to pass on that information," he said. Police are appealing for a person who called Crimestoppers last week with information about a missing Perth woman, to contact them again. 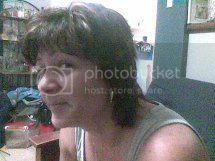 37 year-old Iveta Mitchell has not been seen since she left her Parmelia home on May 3rd. Forensic officers and SES volunteers are searching a small area of dense bushland near Kwinana Beach today in hope of finding any trace of Mrs Mitchell. Detective Senior Sergeant Steve Foley says police hope to get more information from the public about her whereabouts. "This is a missing persons case," he said. "Obviously, the family of Iveta Mitchell and also police are very concerned for her and where she may be so the investigation is ongoing and Major Crime Squad is putting a lot of resources into this inquiry." Police investigating the disappearance of a Parmelia woman are continuing to search her family property for clues. Iveta Mitchell has not been seen since she left the house in May. Forensic officers have returned to the house today where they are digging up parts of the yard. Earlier this week, police searched a quarry in Kwinana where her husband Chad Mitchell works. Officers have searched the house and surrounding areas several times. Previous searches have failed to find any sign of Iveta Mitchell. The latest search for the missing Parmelia woman Iveta Mitchell has entered its third day. Iveta Mitchell hasn't been seen since she left her house in May. Forensic police officers will return to her family property this morning to search for clues. Previous searches have failed to find any sign of Ms Mitchell. Police will return to the property of the missing Parmelia woman Iveta Mitchell today as they continue to search for clues. Ms Mitchell has not been seen since she left her house in May. Forensic police have been searching the family property since Tuesday but expect to let the family back in this weekend. "Due to what we have gleaned during the course of the investigation and the people we've spoken to, and information we have at hand, we believe Iveta has met with foul play," Detective Robinson said. "The focus of our investigation is to locate Iveta, to bring the person or persons responsible to justice and to hopefully bring some closure to Iveta's family, in particular her three children." It comes a month after Mrs Mitchell's family were forced from their Parmelia home so police could conduct more forensic tests of the property. "I'm not going to go into specifics about what was seized at the search, there were a number of items seized," he said. Police raided the family home in June and charged Mr Mitchell with receiving stolen property after they seized a jet ski and trailer worth $8000. 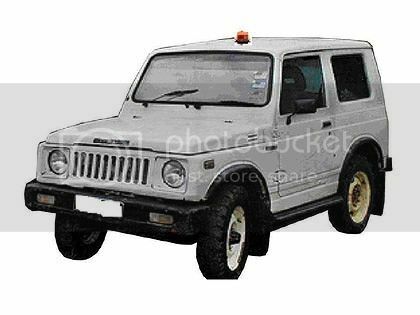 The car, a white Suzuki hard-top four-wheel-drive, was seen in the Kwinana-Rockingham area around the time of Mrs Mitchell's disappearance in early May, Detective Sergeant Paul Robinson said. "At this stage we're treating the (driver of the) vehicle as a potential witness," he said. "We've received a steady flow of information throughout the inquiry. It shows the public are still interested in this matter," Detective Robinson said. Emergency crews are combing bushland in Anketell in a new hunt for clues to the disappearance, and suspected murder, of Perth mother Iveta Mitchell. Sergeant Gerry Cassidy said State Emergency Service officers were searching an area of land in Spectacles Drive, Anketell, not far from Mrs Mitchell's Parmelia home. The search was being conducted on behalf of the police major crime squad, which is spearheading the investigation into Mrs Mitchell's murder. The disappearance of the mother of two was upgraded to a homicide investigation at the beginning of the month after new information gleaned by police led them to conclude it was likely Mrs Mitchell had met with foul play. She went missing from her Meares Avenue home on May 3. 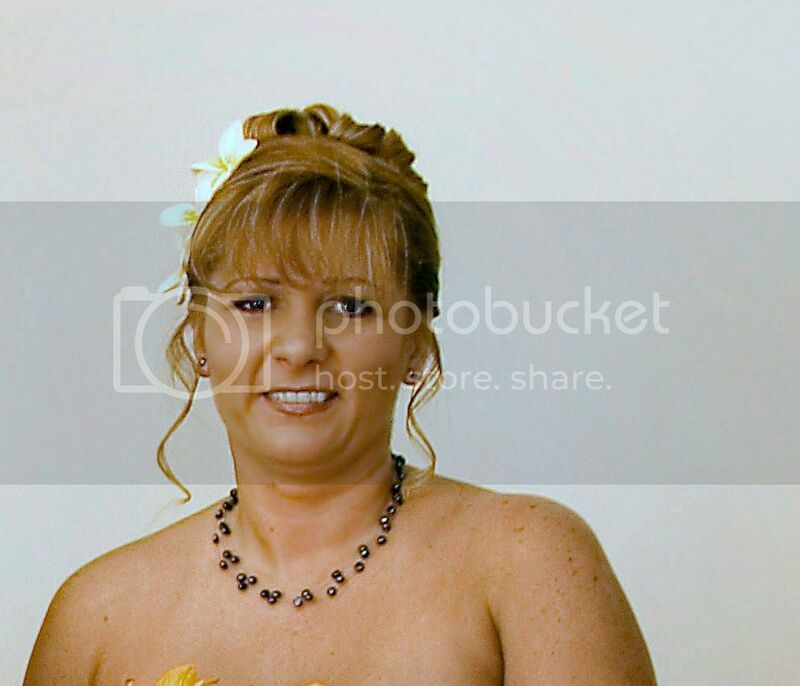 She was last seen by her husband Chad, who said she had gone for a walk at 1am after they argued over finances. Mrs Mitchell will be remembered at a public event today, but it looked unlikely her husband Chad - who has been a focus of police investigations - would attend the memorial. "Of course it was weird. It can't happen like that. No way would she just have walked away," she said. "She didn't have anything and you know how it is, a woman has an argument and tells her man to 'piss off', grabs her handbag and gets the hell out of there. You do not leave your handbag behind. Something has happened." While she continued to hold grave fears for Mrs Mitchell, she said the ceremony was not about saying goodbye but simply to find out "the truth". "We just want people to realise a person has gone missing and we don't want her to be forgotten like every other missing person," she said. "Someone has to know something. We just want someone who has seen something or heard something to come out ... to tell major crime and police. "We want to know the truth." Ms Nikolic has organised the ceremony, which is being held at 5pm in Barney Park, next door to Mrs Mitchell's home, with the approval of Mrs Mitchell's oldest son, Peter Read. "I could never put myself in their shoes... Devastated, absolutely devastated," Ms Nikolic said. The pair have remained in close contact despite living in separate homes - Mr Read lives with his grandparents and Ms Kilsby with her father. She said that Mr Read encouraged her to contact Mr Mitchell about the ceremony but Mr Mitchell did not say much except that "you can, of course you can (hold the memorial)". Mrs Mitchell's youngest son, Kyle, lives with Mr Mitchell and also was not expected to attend. Mrs Mitchell's disappearance has pulled the family apart but Mr Read has previously shown support for Mr Mitchell, telling WAtoday.com.au if he had done anything suspicious police would have uncovered it. Ms Nikolic said today's memorial would be the first of many future anniversary commemorations to be held in Ms Mitchell's name until her disappearance was resolved. She said there would be 100 battery-operated candles in the park, a banner and a scrap book of Mrs Mitchell's photographs, both of which people could sign to be given to her children. She said there would also be speeches, music played and poems dedicated to Mrs Mitchell but it was "not a party". "Iveta was a hard worker. She worked hard all her life. She was outgoing, loved to be with people, loved to laugh," she said. "Very outgoing but not in the naughty way, she was spontaneous and fun-loving, all with a smile on her face. From the moment you talk to her you'd just click." It comes more than a year after the mother of three's mystery disappearance. In the weeks after Mrs Mitchell's disappearance, Mr Mitchell revealed his wife was angry with him before she disappeared because he was blowing their mortgage money on hard drugs. He also claimed that police viewed him as the "No.1 person" in the investigation, but has consistently denied murdering his wife. Despite it being a bit untidy, he said it offered "extremely good value". "It's a four-by-two that needs some work, but the price really reflects the market and the condition of the house," he said. "It's not being undersold for any particular reason. It's just another house to me." The home, on 703sqm, is being marketed with the catch line 'Splish! Splash!' for its pool and outside entertaining area. IVETA Mitchell walked out of her Parmelia home on May 3 2010 and never returned but there's new hope in her family's quest for closure. Those close to her say they pray for answers every day. "It hurts everyone. It's the not knowing that's the problem," her grandmother Betty Gertau said. Ms Mitchell was reported missing after a fight with her husband Chad Mitchell, who has always denied any involvement in her disappearance. Ms Gertau says she's positive Ms Mitchell has been murdered but is adamant Mr Mitchell had nothing to do with it. "We believe she was picked up that night and taken away - and that's the last we ever saw of her," she said. The 81-year-old believes the case has stalled and and wants the State Government to set up a reward to to help catch Ms Mitchell's killer. "They've got a damn sight more money than we have and we can't even raise $50,000," she said. Two weeks ago, WA Police announced a $100,000 reward for information in the case of murdered Broome man Josh Warneke. His mother Ingrid Bishop lobbied the State Government for the money to encourage someone to come forward. Betty Gertau wants to do the same and the State Government says it will consider it. For those who love Ms Mitchell, it could be the breakthrough they've been waiting for. "Someone out there knows something and we want them to come forward," Ms Gertau said. "We want to know what happened to poor Iveta."